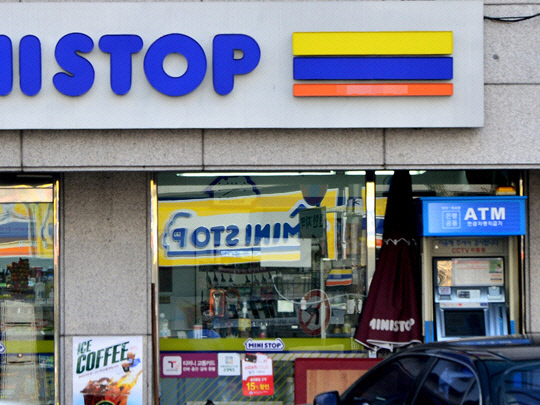 South Korean retail giants Lotte and Shinsegae are likely to vie for acquiring 100 percent of Ministop Korea, the fourth-largest convenience store chain here in terms of the number of locations. According to Japan’s Aeon Group, the largest shareholder of Ministop Korea, it had received bid proposals from Lotte, Shinsegae and Seoul-based Glenwood Private Equity as of Tuesday. A preferred bidder is to be decided in a week, according to Nomura Securities, which was chosen as a lead manager in July to sell off Ministop Korea due to worsening sales. Last year, Ministop Korea’s operating profit fell 23 percent on-year to 2.6 billion won ($2.3 million). While the market value of Ministop Korea and some 2,500 stores nationwide are estimated at some 400 billion won, the exact amount that each company suggested has been unveiled. Currently, Aeon Group holds 76.7 percent shares of Ministop Korea, while South Korean food group Daesang and Japan’s Mitsubishi own a 20 percent and 3.94 percent stake, respectively. Lotte, which owns its convenience store franchise 7-Eleven, is eyeing to secure a top three position in the industry by acquiring Ministop. As of last month, there were a total of 9,548 7-Eleven stores across the country. If the company acquired Ministop, the number of its stores would jump to some 12,000, largely bridging the gap with the industry’s No. 1 CU and No. 2 GS 25. They currently operate 13,100 stores and 13,000 stores, respectively. Lotte’s previous experience in acquiring convenience store chains such as Lawson in 1999 and Buy the Way in 2010 will help them secure an advantageous position compared to Shinsegae, industry insiders said. Meanwhile, Shinsegae Group, which runs convenience store chain E-mart 24, is likely to pull all-out efforts to increase its sales and size by the Ministop acquisition. It currently owns 3,564 stores here, after acquiring a convenience store chain With Me in 2014. Amid fierce competition in the domestic convenience store market, E-mart 24 has been posting poor performance since reporting 140 million won of operating loss in 2014. It has since then revised its franchising system by making profits from selling products to franchisers, instead of receiving the amount for royalty like other convenience stores do. “Domestic convenience stores have hurdles in terms of opening new stores or attracting new consumer group, considering drastically changing lifestyles and structure of online retailers. Acquiring Ministop may not bring an instant increase in sales,” an industry official from a local convenience store chain told The Korea Herald.